SPURR, a joint powers authority, aggregates the buying power of over 240 member agencies to secure best-in-class pricing and terms on their behalf. Schools and public agencies can leverage, or “piggy-back,” SPURR’s competitive RFP and the resulting terms and conditions. SPURR’s Renewable Energy Aggregated Procurement (REAP) Program allows participating entities to procure solar and energy storage solutions with ease. 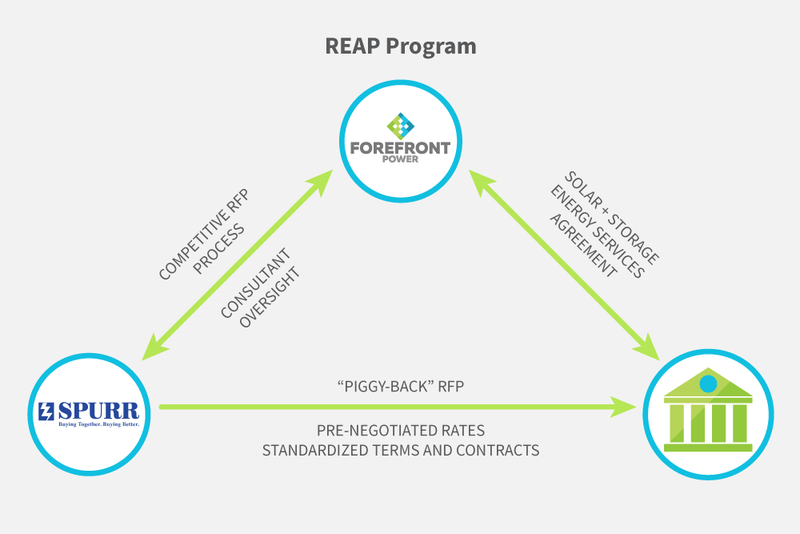 The REAP Program includes pre-negotiated contracts, industry-leading pricing, and standardized terms for public agencies in California that remove typical procurement barriers. This allows schools, colleges, and other agencies to benefit from clean and reliable energy sooner, with less sourcing expense and effort. ForeFront Power was selected as the winner of the REAP program based on an outstanding offering which includes solar and storage solutions as well as solar learning programs that bring renewable solutions to the classroom and community. ForeFront Power also boasts an unmatched financial profile with the backing of ‘A’-Rated parent company, Mitsui, and available long-term financing for solar and storage. SPURR provides trusted oversight and guidance on behalf of public agencies, as well as a proven track record from existing SPURR solar customers. The first round of the SPURR REAP program with the ForeFront Power team resulted in over 40 megawatts (MW) of solar power systems developed at over a dozen schools and municipalities across California. With this second round, the package expands to include energy storage and off-site solar options, including community solar. ForeFront Power’s solar solutions paired with energy storage enable public agencies to reduce substantial energy expenses, hedge rising utility costs, and conserve bond funds for other needs. No capital outlay or bond money is required with ForeFront Power’s renewable energy solutions. 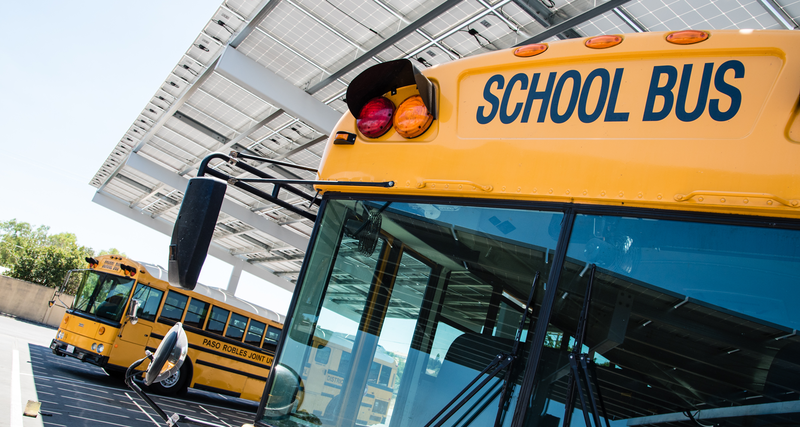 For schools and agencies without the space or ability to install on-site solar power, community solar also offers increased scale and sourcing flexibility that still includes cost savings, no upfront costs, and progress toward sustainability goals. SPURR is a Joint-Powers Authority duly formed and existing under the California Joint Exercise of Powers Act. SPURR was formed to seek reduction and control of utility rates on behalf of its members. SPURR membership is open to all California public K-12 school districts, county offices of education, and community college districts. SPURR is governed by a Board of Directors who are management-level employees of member organizations. SPURR, with over 240 member organizations, aggregates purchasing power and expertise for thousands of public agency facilities across the state of California. SPURR programs include natural gas procurement, electricity procurement, LED procurement, utilities data management and conservation, and telecommunications procurement.